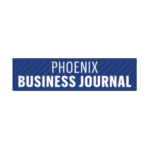 Since 1982, Chamber Music Sedona has been striving to enrich the lives of Northern Arizona residents by bringing world-class musicians to Sedona audiences. While establishing its reputation as one of the state’s leading presenters of chamber music, CMS has also been a valuable supporter of the community in another way, through a partnership with the Music Department of Sedona Red Rock High School. A tale about a lonely tree finding friendship with animals of the forest has brought together a local author and three Sedona Red Rock High School sophomores in their own story of creativity and collaboration. 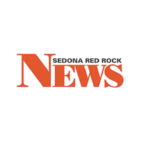 Sedona Red Rock High School named a new assistant principal over the summer. Mark Cunningham, a social studies teacher at the high school, takes over for Deana DeWitt, who moved to a district-wide position as director of curriculum. Cunningham is both a teacher and what the district refers to as a “teacher on assignment,” a designation which allows him to perform duties other than inclassroom instruction. For Cunningham, this means assisting principal Darrin Karuzas in an administrative capacity. While Basis Charter Schools captured top rankings in U.S. News & World Report’s 2017 list of publicly funded high schools nationwide, take a look at where other public high schools were ranked.